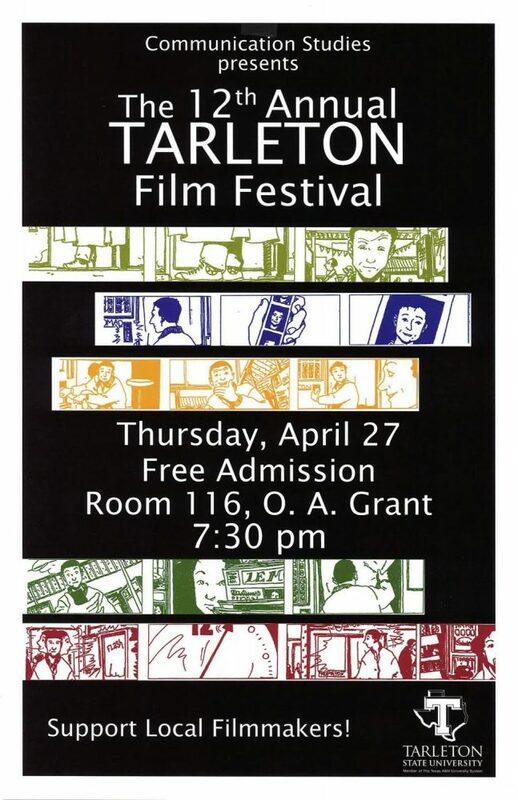 Student film “Rosy” cleaned up the competition and took the prize at the 12th Annual Tarleton Film Festival on April 27th, 2017. Directed by Leslie Richardson, “Rosy” is a romantic comedy detailing a couple’s attempts at showering. The film begins with a groggy and grumpy couple going about their morning shower routine. Simple tasks were made more difficult, and the two nearly butted heads in their almost competitive cleaning clash. Shaving attempts went awry, and the couple bumped into one another nearly constantly. As the film went on, these dirty looks were cleaned up and made way for smiles, and even a kiss. The rosy couple ends with teamwork and fun in their endeavors whether that meant helping each other shave, or even scrubbing one another’s armpits. It was a simple, happy, and pleasant film that had the audience laughing and smiling at the end. The festival took place on April 27 in the O.A Grant building. Photo courtesy of communication studies. When accepting her award, all director Richardson had to say was: “I’m so glad I’ll be getting out of here,” a joke about graduation. “Rosy” certainly had tough competition this year, with one of the most diverse lineups the film festival has ever had. “This year was an unusually strong field,” said film professor Dr. Robert Anderson. “Twenty-five films were shown to judges, and 21 easily could have been in the film festival.” One film detailed the difficulty of long-distance relationships with an artsy black and white tone. One managed to earn laughs as a comedy about murder, and a 16-minute documentary about the Black Lives Matter movement shook the audience with its powerful messages and imagery. 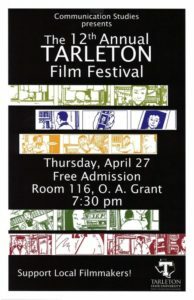 One finalist was even a musical, the first ever showcased at the university’s film festival, and two students entered animated short films.